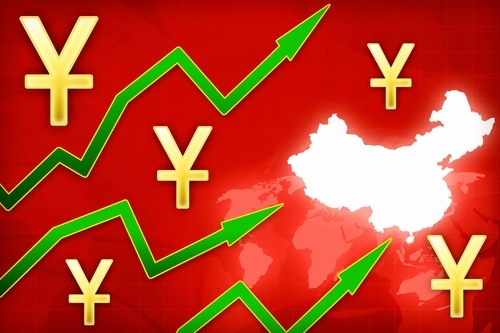 The National Bureau of Statistics of China revealed that in October 2015, China's total social consumer retail sales reached CNY2.828 trillion, a year-on-year increase of 11%. Compared with September, the retail sales in October was not only stable, but also represented an increase; meanwhile, the sales and growth rate set new records for this year. Commenting on the growth, the bureau said there were three major reasons for the findings. First, both the urban and rural markets saw accelerated growth. During October, China's urban consumer retail sales increased by 10.8% year-on-year; while the rural consumer retail sales increased by 12.2%. Second, commodity retail sales and food and beverage consumption both increased. The commodity sales saw a year-on-year increase of 10.8%, which was 0.1 percentage point higher than September; while the food and beverage income increased by 12.4% year-on-year, which was 0.3% higher than September. Finally, automobile products saw a higher growth rate. Statistics showed that China's sales of automobile products increased by 7.1% year-on-year in October, and the number was 4.4% higher than the previous month. In addition, from January to October 2015, China's Internet retail sales reached CNY2.948 trillion, an increase of 34.6% compared with the same period of last year. Of this total, Internet sales of physical goods increased by 33% to CNY2.445 trillion, accounting for 10% of total social consumer retail sales. Be the first to comment on "China's Social Consumer Retail Sales Up 11% In October 2015"